On my recent trip to Japan, I found art where I didn’t expect it, yet didn’t find the art I expected to see everywhere. 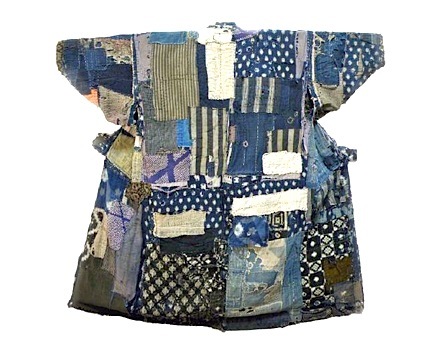 Boro, the Japanese art of mending, and its twin art of Sashiko (decorative stitching), are very popular among textile artists in the West. Many non-Japanese artists throughout the world, myself included, now incorporate the art of patching and restorative hand-stitching into their work. Nowadays, clothing using some elements of Boro and Sashiko are making a comeback into the world of high-end fashion. Boro-style items are selling for hundreds of dollars. 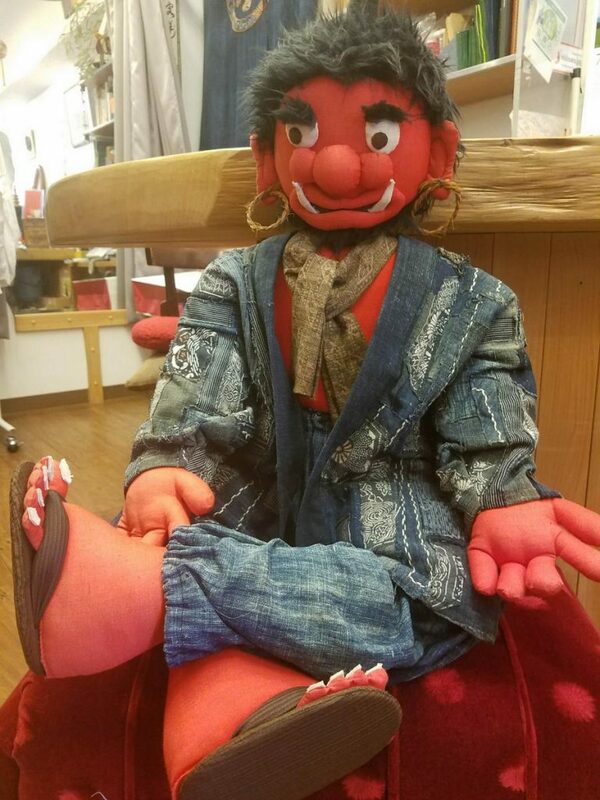 Original antique Japanese pieces of patched cloth can go for thousands of dollars. It was only natural, therefore, that, before going to Japan, I assumed I will see Boro everywhere. That did not turn out to be the case. Sadly, for the duration of our subsequent nearly month-long trip, I did not come across any other Boro museums, nor could I find any on the internet. Not only that, but I haven’t seen Boro anywhere. I didn’t see it in any of the numerous big and small museums we visited, including several crafts museums. Nor in gallerias, tourist shops or artisan villages. Certainly not on the streets, on any of the thousands of well-dressed Japanese we encountered. So, why isn’t Boro more prominent in Japan, it’s birth place, despite being so popular in the West? I believe the answer is that Boro was the child of poverty, and as such is still associated with destitution in Japan. The imperial family and the upper classes never wore patched clothing. They cloaked themselves in expensive silks and exquisite textiles. The lower classes, on the other hand, not only could not afford silk, but, in the Edo Period (1600-1868) were actually banned from wearing it. The poor could barely afford even the cheaper fabrics, which were still expensive. They had to make the rare garments they had last long. When clothes or blankets started wearing thin, they had no choice but to mend them with any bits and pieces they could put their hands on. Winters in Japan are cold. Poor families had to make do with what they had, passing valuable patched garments from one member of the family to another, sometimes from one generation to the next. The people who created Boro didn’t use silks and high-end textiles. They used the cheaper hemp, linens and, later, cottons that were available to the working class and the poor. Most of the fabrics they had came in shades of indigo. This is why we now associate Boro with that color. The word “Boro” itself means “tattered” or “ragged.” Wearing Boro-ed clothes wasn’t the result of aesthetics. It was a necessity. And as such it marked the wearer as a member of the lower, poor classes. Japanese today don’t wear Boro (unless they can afford some of its high-end, modern-day manifestations). Museums don’t show it because it’s not a traditional art form that the culture is proud of. 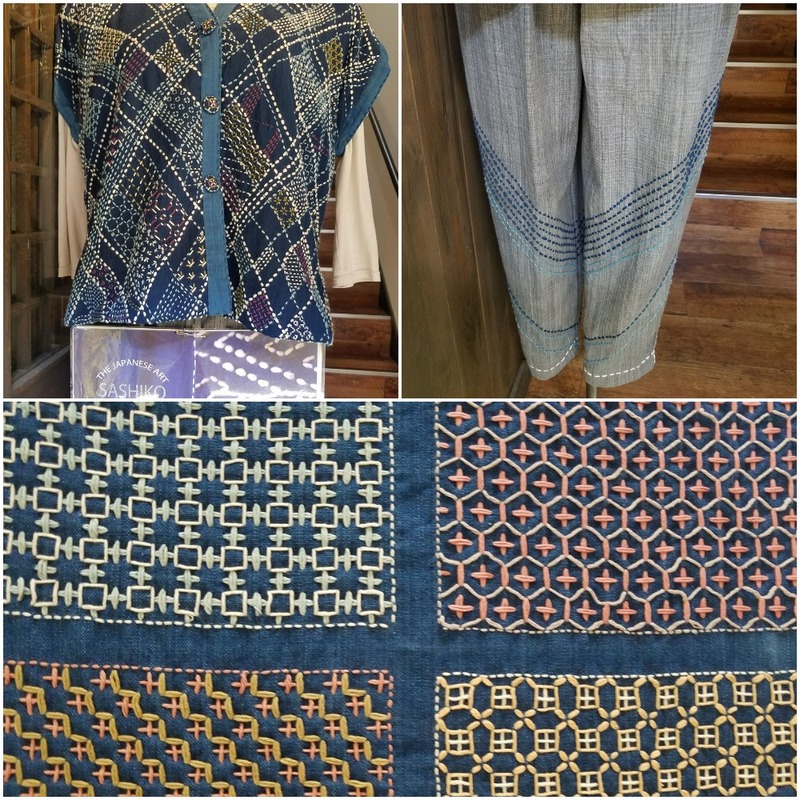 Modern artisans are more likely to practice Sashiko or Shibori (textile dyeing), which they see as more “artistic.” And so, although Boro is all the hype among textile artists and consumers in the West, it is mostly absent in its homeland. Which doesn’t mean we can’t or shouldn’t appreciate it. The authentic, old Boro clothing were made over a long period of time, and were often a collaborative effort. People added patches and stitches whenever they needed to fix something. Sometimes a garment passed through several hands and even several generations, with many people adding to it. And even the poor did their best to mend beautifully, resulting in artistic stitching. Many of these old garments are, indeed, works of art, even if their makers didn’t see them as such. 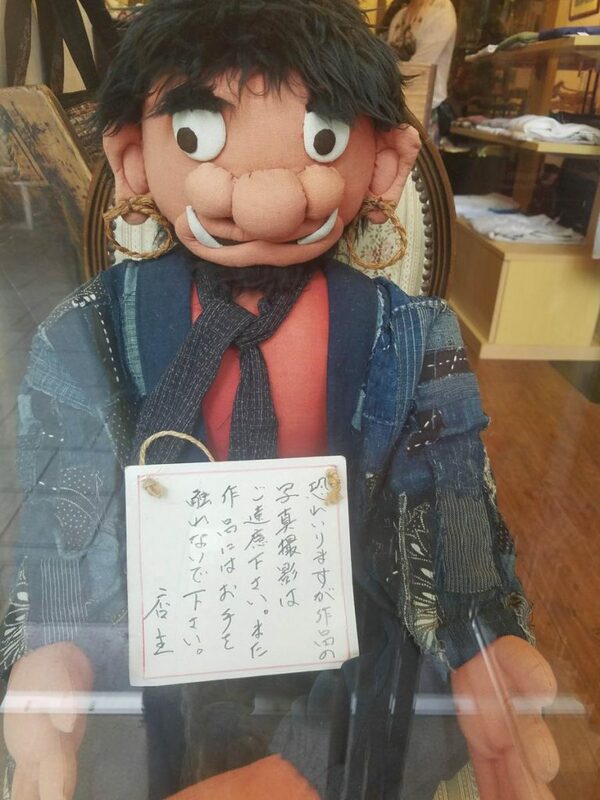 If you’re interested in Boro and are planning to visit Japan, do go to the only Boro museum in the country. If the rumors I heard are correct, you should hurry, as the museum might be shutting down soon… I now know that you can also find Boro in flee markets throughout the country. Regrettably, I didn’t get to visit any, but perhaps you will have better luck!